The last two years have seen the biggest college tuition hikes since records have been kept for those sorts of things. A study by The College Board shows that for the 2009-2010 school year tuition for U.S. public colleges rose on average 6.5%, with California leading the way with a 30% tuition hike. This was on top of a nationwide college tuition increase of 6.4% the previous year. Now a college student is expected to pay over $7,000 a year (on average) for the privilege of attending the public halls of higher learning. That’s going to be tough, since household incomes have only increased in the same time period by about a third as much. Unfortunately, this “new math” just might price most people out of going to college. Just like solving a Rubik’s Cube seems impossible when it’s all scrambled up, there are ways to get around the rising cost of college if you think outside the box. Oh sure, there are the usual avenues; applying for grants, taking out college loans, working and going to school part time. However, there are also other options that people tend to overlook. 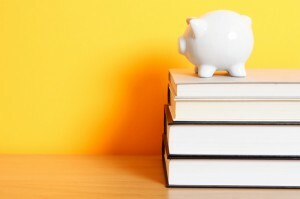 So on your next much-needed break from filling out all those college loan applications take a few minutes to read the following three ways you can cut corners on rising college tuition costs. Now most public and private colleges offer some form of online classes, and in many cases allow you to get your entire degree via the Internet. But because the curriculum, textbooks, supplies, and instructors for online classes are usually the same as those for campus classes, the tuition roughly ends up being similar for both. (Depending on the college you choose.) However, there is a substantial savings with online college in that you get to attend school from the comfort of your own home. This means you don’t have to pay for college housing, transportation, gas, or parking, all of which can up to thousands of dollars per year. True, you do need to own a computer and pay for Internet access, and possibly buy some special software, but these are small costs compared to what you’d have to fork out to attend years of brick-and-mortar college. If you’re interested in comparing the cost of online versus campus college About.com has a great cost comparison sheet that allows you to do exactly that. Regardless if you study online or on campus, there are many careers in technology, for example, that didn’t exist 10 years ago, such as social media, blogging, website design, electronic graphic arts, search engine optimization (SEO), IT specialist, the list goes on. Even though there are programs at universities for these areas of study, you can get just as valuable of a tech degree at a community college or vocational school – for a fraction of the cost. According to the College Board, community college tuition increased in the 2009-2010 school year by only 1.6%. Similarly culinary arts, graphic design, journalism, and business are all areas of specialized education that are available at smaller, less expensive schools (which are also possibly easier to get into). According to the New York Times, tuition at private colleges has gone up 81% between 1993 and 2004, however, financial aid at those same schools has increased by 135% over those same years, even though financial assistance at public schools has actually gone down. Ironically, this means that although private colleges are more expensive than public universities, private schools tend to offer more scholarships. Therefore, your chances of getting a scholarship at a private school are far greater than if you applied to a public university. Granted, you need the grades and resume to get into a private school, but if you apply and ask for assistance, the worst they can do is say no. But you’ll never know if you can get that assistance if you don’t ask. Rising costs in college tuition are a fact of life now. But that doesn’t mean you should give up your dream of going to college. And it doesn’t mean you have to start your career deep in college debt. However, it does mean you may have to compromise a little by looking at college as a practical matter. Yes, we’d all like to attend Harvard, Stanford, or NYU, but is paying off college debt the rest of your life really worth it?